Glitches are only memorable when Russians are responsible. I'm not saying anyone made it sound like the biggest thing in the world, but when I google "Sochi opening ceremonies glitch," Google promptly responds with more than 89 million results. "Sochi opening ceremony glitch: 'This is bad, but it does not humiliate us'"—from Britain's Telegraph. Before the games opened, coverage focused on cost overruns, corruption, and terrorism. Hotels weren't ready. Water taps spewed poison. The possibility that the opening ceremonies could go off without a hitch seemed not only unlikely but unacceptable. This was Putin's Russia. Something had to go wrong! 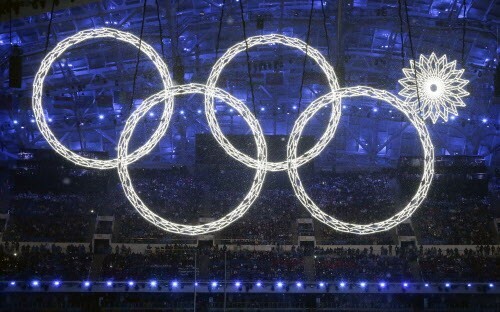 And when something trivial did go wrong—a snowflake failed to transform itself into an Olympics ring—the media were all over it. Not that they blew it out of proportion; but keeping the matter modestly proportioned, they gave it one hell of a ride. In Vancouver, four years ago, a four-armed cauldron was constructed for the lighting of the torch at the opening ceremonies, each arm to rise separately and be lit by a different Canadian sports hero. But one of the arms failed to rise and speed skater Catriona Le May Doan had nothing to ignite. "We're all human," said the man in charge, and that was pretty much the end of it.